It seems we all love collecting (hoarding) all the fonts we can for crafting and creating with our Silhouette. As easy as it is to find fonts, we often times run into problems after downloading them. We may have difficulty locating where they have downloaded or trying to install them for use within the software. Recently I helped navigate someone through this process, and realized there may be others who need similar guidance. So here's a little tutorial to hopefully make these tasks a little easier. Here's my disclaimer... for the record, I'm a PC girl. So the detailed instructions and screen shots are for PC users. However at the bottom of the post I have listed out the instructions for Mac Users as outlined by ** Silhouette America's website for font installation. This is the same process for installing fonts that you get from other sources such as ** The Hungry JPeg, Craft Chameleon, and Font Bundles; not just the Silhouette Design Store. I've ordered this font from the Silhouette Design Store. (Okay...who am I kidding, when I did this I ordered several..."YOU" know you can never have too many fonts...just sayin'...😂) . When the order is completed in the Design Store, it gives the option to view/download the order. Next you have to download it to your computer, not to the Silhouette Studio software. Once downloaded, you will have a zipped file. You double- click on the zipped file and each font is listed separately. (If you bought the font separately, each font will be in its own zipped folder). You click on the font and a box will open up with a button that says install. You click on the install button and it will install the font to your computer. Once the button is grayed out, the font is installed. Once the font has been installed, you will now open your Silhouette Studio Software. The font will show up in your library as well as in your Font Type Panel. Not all fonts from Silhouette Design Store install this way. Some come in through your Silhouette Cloud already installed. 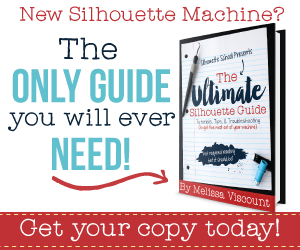 If you've purchased a font and it does not show up in your Silhouette Studio Software Font Type Panel but does show in your library, then you must go to the Silhouette Design Store and download it to your computer and follow the instructions as listed above. 1. Depending on your download preferences, the download my show up in your downloads area or in the default location. Every user has their preferences set differently. 2. Open the downloaded folder. 3. Double-click on the font to install. 4. A font management window will open. 5. Select the Install option in the lower-right of the window. 6. Once installed, the font management window will close, indicating that the font has been installed. Hope you've found this tutorial to be helpful and easy to follow. We'd love to hear from you, so leave us a comment below.